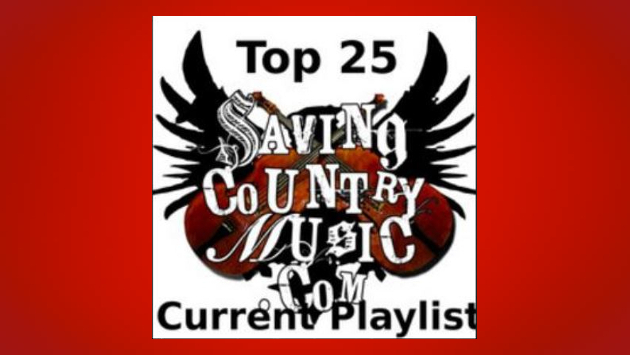 An older name, a younger name, and a name you need to know make the latest additions to the Saving Country Music Top 25 Playlist. Let’s start off with venerable songwriter Tom Russell, who surprised us all with the release of his latest record October in the Railroad Earth, and just how full of quality songs it is to add to his incredible catalog. Which one to choose to include here is a struggle, but “Highway 46” was settled upon, which is a country music tribute song done right. Emily Scott Robinson is a name we’re talking about now, and a name we’ll probably be talking about in December when we mull over the best efforts of the entire year. Her new album Traveling Mercies will likely be in the mix, and so will her song “The Dress,” which slides into the playlist as a timely and telling story. And a name you definitely need to be on the lookout for is Kentucky songwriter Ian Noe. If you’ve been paying attention at all to country music in the last few years, you know whenever the two words “Kentucky songwriter” appear together, you better be paying attention. Ian Noe’s “Irene (Ravin’ Bomb)” makes the playlist as well, and will appear on his debut LP Between The Country when its released on May 31st. And rounding out the newest additions, The Steel Woods‘ place in the playlist has been freshened with “Anna Lee,” which is arguably the most country track on their Southern Rock opus released earlier this year, Old News. “The Dress” is a nice choice, thank you. It certainly is. Emily Scott Robinson is a new discovery for me, thanks to Trigger. Such a beautiful voice and tone. Yes, it’s a wonderful album. I’ve played it several times now and it just getting better. And It has such a good balance between happy songs and sad songs. (And some songs are both like “Overalls” for an example) She should really be proud of this album. And to me her beautiful singing and her songs are as one they really belong to each other. I also love the production. new format (still working on it…), new category & a couple of new tracks. The new category is called “guilty pleasure track” for a not-so-country “country” track i like. Still no Spotify for me…but feel free to use my list for a Spotify list or Amazon Music, or Google Play or wherever you can stream or buy music. Arrgghhh…it’s pleasure not preasure track & John Wayne Schulz with “Beautiful Water” is in the heavy category & not in the light rotation. Damn. Watching IndyCar & Nascar & working on the playlist at the same time…not a good idea. Interesting list OlaR I will be giving it a listen. There are a few names on here I have not heard the music from yet, it could be because this is more of a pop country type of playlist, many I have heard of some I consider to be in the pop country genre, some are in between. But still a great list to give a listen to, I have found many of the ones I tried so far as singles, it’s always good to find those singles. I find that to be the toughest part of searching for great new music. Myself I am more traditional country music. New songs, new artists but more country than the stuff they are playing on radio today. I have a couple great playlists on my Facebook page and facebook group (Real Country Playlist). I encourage you to give it a listen you might find some gems there. Also a new one that just came out last Friday that is getting heavy rotation for me. Like some of yours this is not the traditional country but it is some of the best music I have heard this year. It’s by Gabe Lee and the Album is called “Farmland”. Thanks for your posting, look me up on Facebook and let’s compare new music every week. Just leave a comment on my Real Country Playlist and I’ll be in touch. Still trying to find your FB-page…but i’m listening to the Gabe Lee album right now. So far the best track is “Last Country Song”. Glad to see Emily Scott Robinson on the list! I’ve enjoyed a lot of her previous work as well. I have heard Rainbow on the radio. I don’t like it. I read your comment and didn’t like. Ok, here’s one: your opinion about other posts. …….then you’ll get NO trick- or- treaters on hallowe’en . I can’t help that I don’t like most of their costumes ….but damn ….SOMEONE needs to tell them . As always, an excellent collection of new tunes. But I was hoping to see the Cactus Blossoms – “Desperado”. My favorite album of the year right now by far and away has been Dee White and Southern Gentleman. Not sure why no mention from SCM yet, cause I think it is righteous. Just so different. I am rating it as high as the Zeph O’Hara album and as good as many of the past SCM winners. 20 year old kid just doing everything right on it.. Produced by Dan A of the black keys. It’s hard to pick a song to recommend cause it is just so good. My favorite album of the year by far right now is Dee White’s Southern Gentleman. Not sure why there has been no mention of it on SCM, but it is righteous. 20 year old produced by Dan A of the Black Keys. I rank it up there with past SCM winners and even though different, it has hit me and I think it is as perfect as the Zeph Ohara album. Would love to see a song included on the play list. Not sure what song I’d recommend. whole album I like. Over in Scotland I must note how the BBC have taken a different slant on that rap tune being removed from the billboard country charts, hey ho. Usual glib performance. Anyways, I think that guy Ian Noe has a bit of John Prine’s sound about him. Very decent stuff. Great variety in that list. Loved Emily Scott Robinson’s vibrato!